Thanks, Debbie! I think it's fun to try....except for the minimalism prompt. That one caused me some stress. I'm better at suppressing the negative voice than I am at suppressing my own that says "more, more, MORE!!!" 😂 My favorite one you made was the mountain one. Brilliant! Your words made me smile and sigh. Thank you for putting into words difficult thoughts and abstract connections. I have also been reflecting. I have given up Facebook and I am less troubled by others' rants. 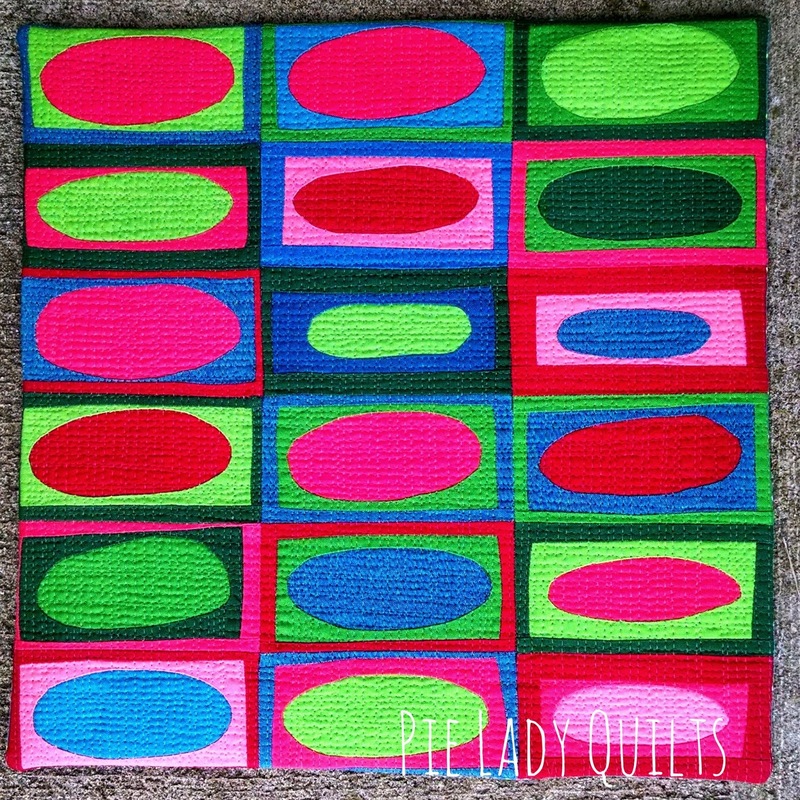 Your quilts also bring to mind my favorite artist when I was a teen- Peter Max. My blogpost today has a small snapshot of my thinking, https://artinsearch.blogspot.com/2019/01/sunk-money-and-breaking-free.html. Thanks, Linda! I'm glad you included your blog link. Guilt has ZERO place in the sewing room. Your husband sounds like my dad. He used to say that we all had an account of wasted money. Sometimes you just have to make a deposit. You were able to save/gift so much that I don't think your deposit is very big at all. Onward and upward! Design constraints are fantastic ways to unlock creativity. When I am free to do anything, fear and gridlock hold me up a lot more than color or design intent guidelines ever do. How awesome that your daughter was so absorbed by watching Bob Ross. 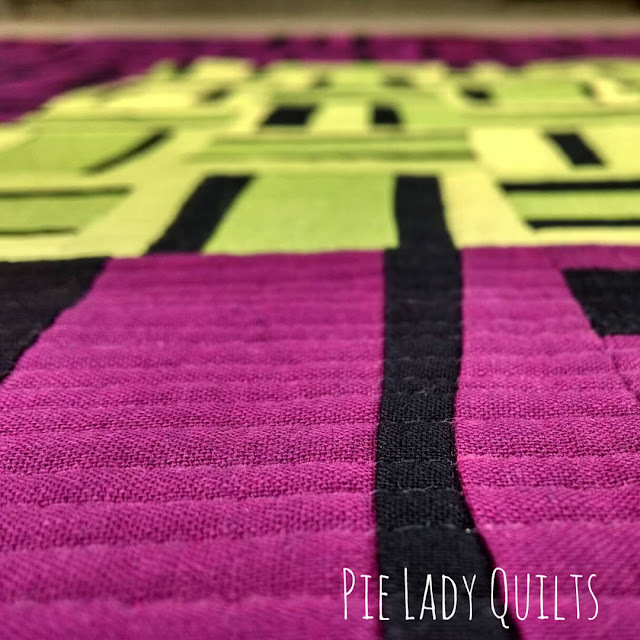 Your quilting is beautiful to get to see in more detail here and your writing and detail of your process is captivating. Ahh, gridlock. I know that feeling very well too. I'm glad you were able to spend some time at the sewing machine yesterday. Don't you think it's a lot like hitting a giant reset button? I love everything you make! They are so happy and full of life and color. I have been sick and not interested in looking at IG much at all. It is amazing how much time it frees up! I also watched Bob Ross on Netflix and was transfixed and felt very peaceful. We all need a little bit more of Bob Ross and his happy little clouds. I'm sorry you've been under the weather! Bob Ross is a treasure. I will happily watch with E whenever she wants. There's also a guy I watch on YouTube called SurajFineArts. He makes abstract paintings with blobs of paint and only a palette knife. The videos are very short and he posts them often. He's taught me a lot about color and helped me decompress on many a night. Your quilts are as amazing as your stories about them. Your "rainbow sparkle" is evident. 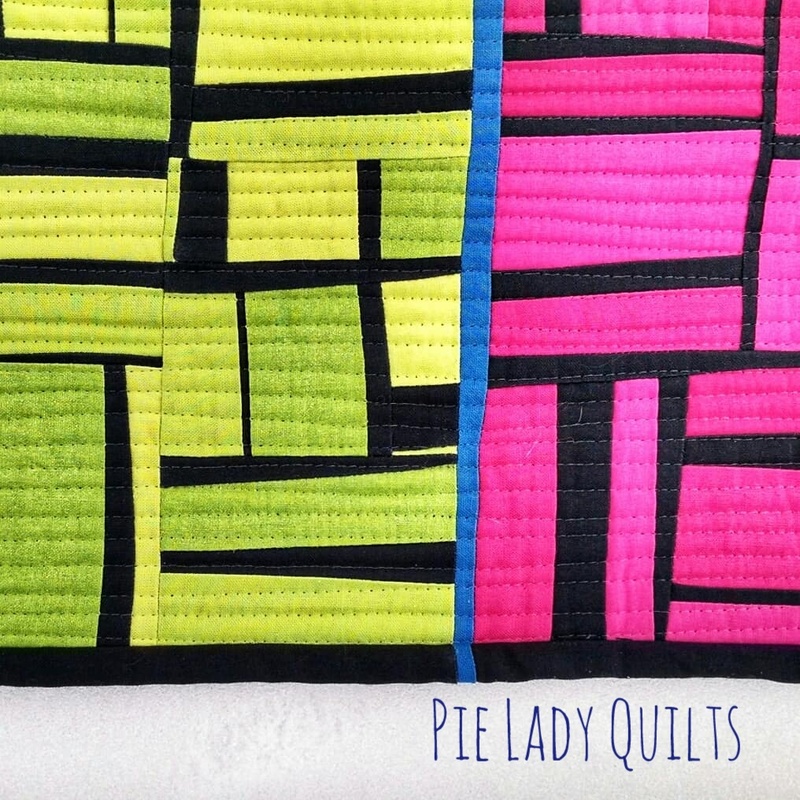 I was so looking forward to your talk and seeing more of your quilts. I enjoyed your quilts..... thanks for sharing. 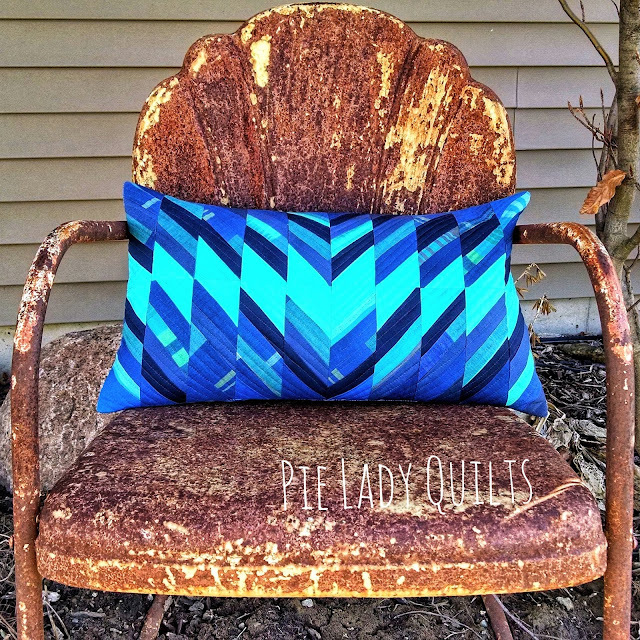 In my 20's I entered two cross-stitched table clothes in the Texas State Fair. I won some ribbons and now 30 years later, I don't remember what the ribbons were or have any idea where they are now. (My mother and mother-in-law have the tablecloths.) Somewhere along the line I decided that optional things that took time and effort (entering anything into any type of contest) was just a way to waste time and I'd rather spend it doing something else (creating or visiting with people). I don't think I phrased that very well. I create because it brings me joy and I don't need a ribbon to validate that joy. I encourage you to find your place - whether it's entering contests, posting on social media, or just creating for the sake of creating. Just realize your "place" can change and that's okay. BEAUTIFUL WORK! I so very much love reading your posts about your stunning quilts. Thanks for sharing. Solstice is really appealing to me. Love the glow it has! 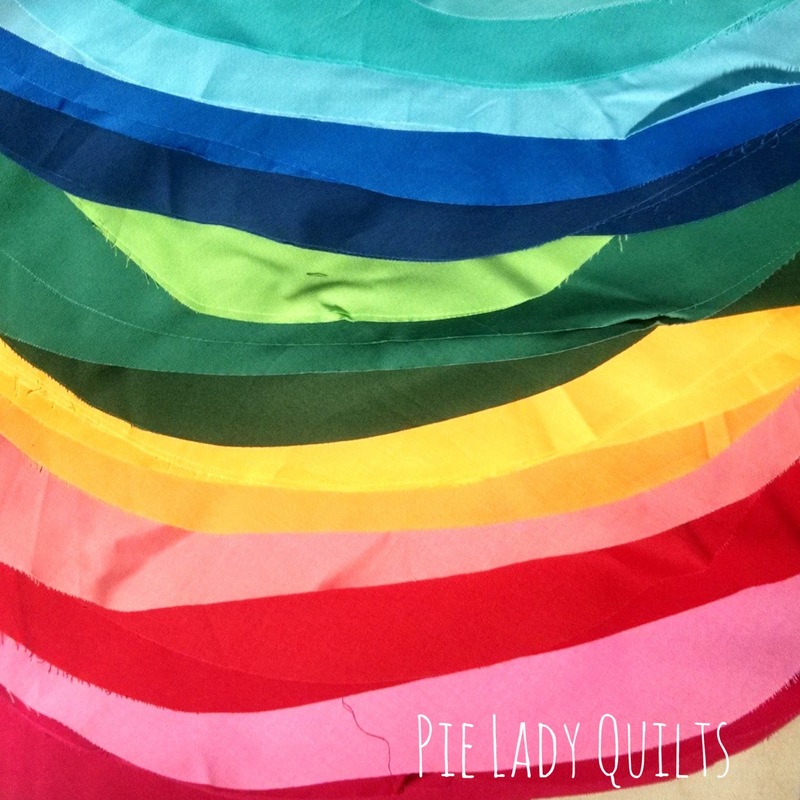 It's always wonderful to read through your thoughts on quilting. 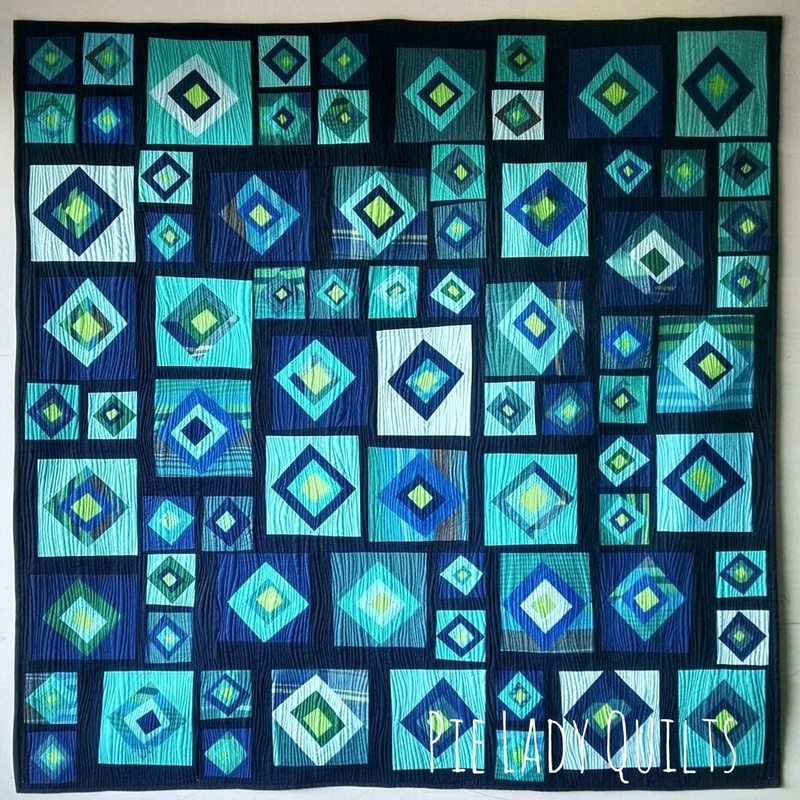 I can't handle the quilt show pressure very well. The only one I enter is a regional show and it isn't juried so that makes it 'doable' for me though my style is different than most quilts entered. 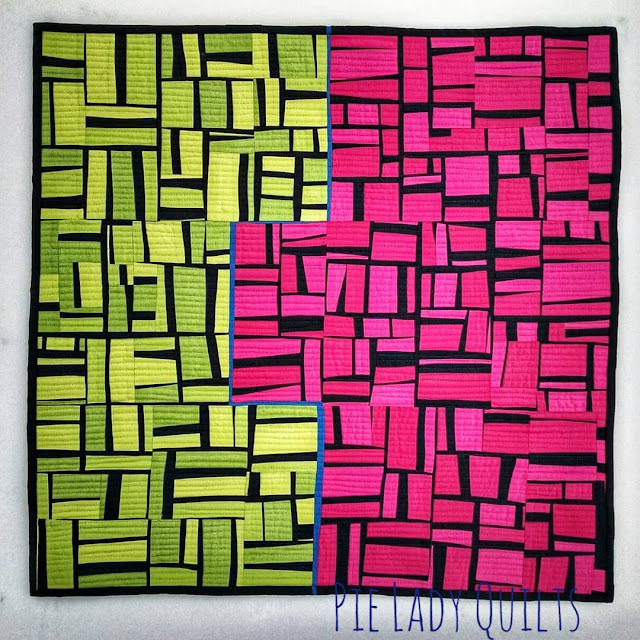 Your quilts are definitely unique and wonderfully 'you'. Love your style and that you follow your own path! Thank you, Audrey. I was reading an IG post from someone listing 2019 goals. 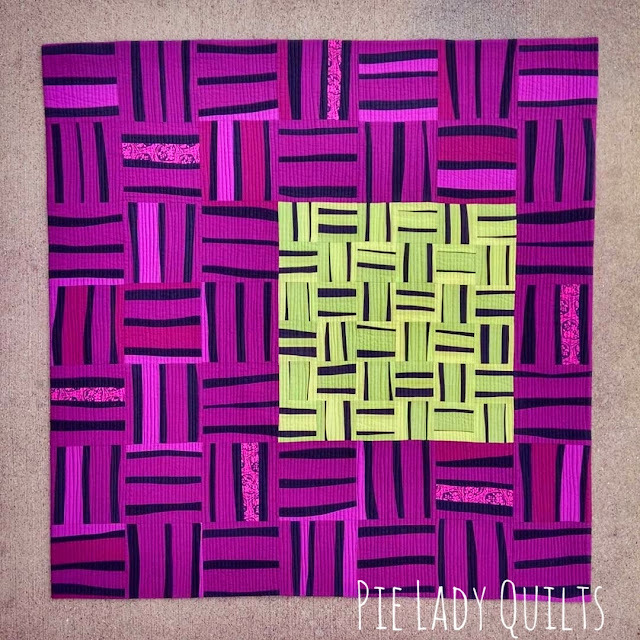 One goal was to create several "quilt show worthy quilts." That whole "worthy" thing made me shake my head. 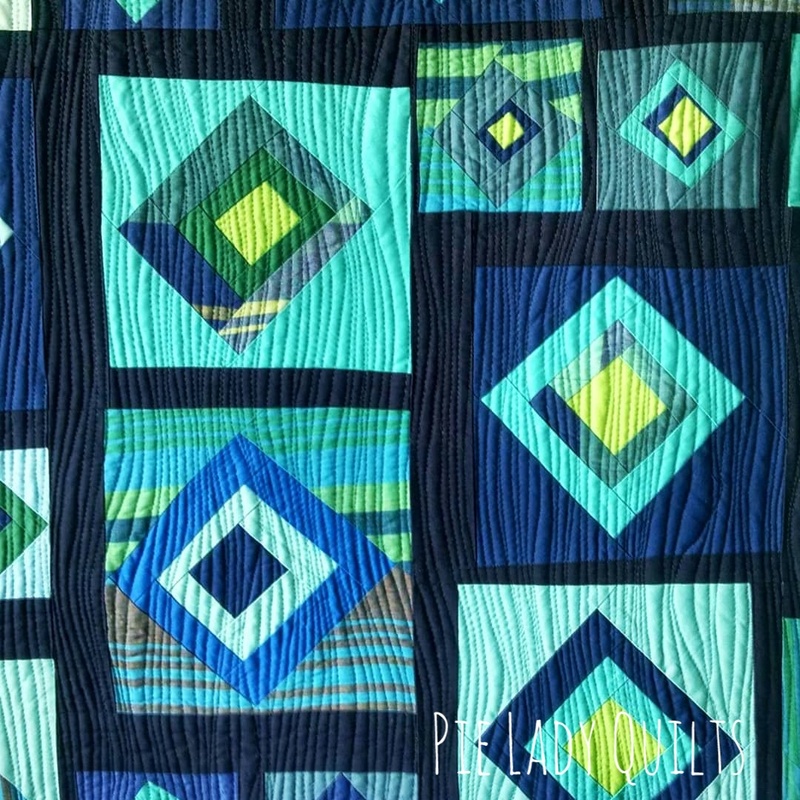 I understand the sentiment, but I think we should never allow another's opinion to place "worth" on the quilts we make. Just my two cents. I think it's very brave to put your quilts out there when they aren't necessarily the same style as the quilts hanging around them. 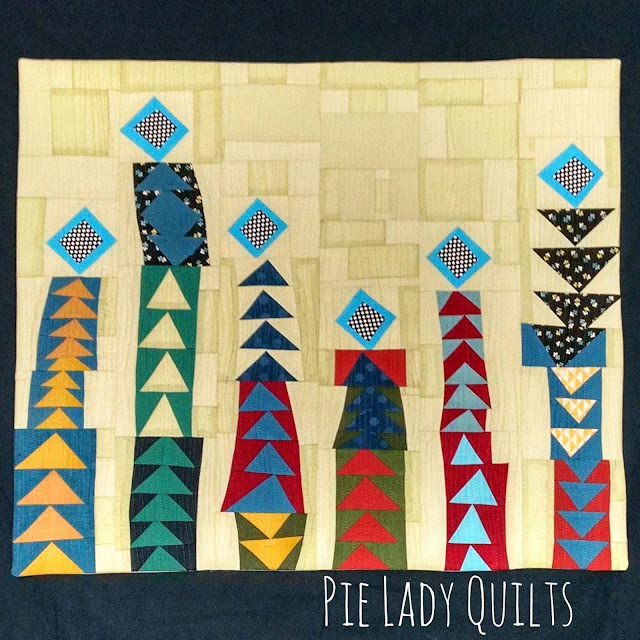 I think seeing diverse quilting voices hanging together is a wonderful thing. I really appreciated your thoughts about the "inner critic". I often think harshly of what I am making and see all the mistakes. My thoughts need to be more Joyful! Love the quilts you make! Your quilts have such intention and are so artistic!